As you might not know that ZenTao back home in China beats Jira according to the Developer Survey China 2017, a survey conducted by Coding Life which is a developer community run by Aliyun which is a cloud product of Alibaba. 37.3% of the respondents claim they use an internally developed tool. In China, there are management tools that are designed for companies. However, they have to use the internally developed tool, due to the special types of some jobs and business. 21% of them claim they use ZenTao as the project management and collaboration Scrum tool. ZenTao is favored by more and more Chinese developers for its open source and professional features. Jira is the most popular project management tool worldwide. Its whole process revolves around issues. ZenTao divides the complex project management into four major items: story, task, bug, and case.Through managing those four, software development project is under monitor and guide. 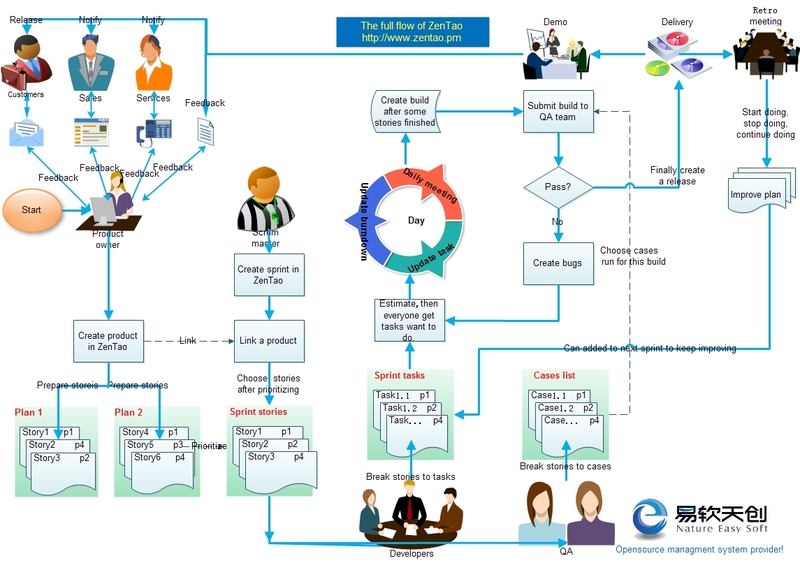 Story: It is the user story in Scrum and describes the requirements from the customer. Task: Decomposed parts of a story. Bug: Defects in Scrum and will be resolved. Case: Test cases that used in test tasks. 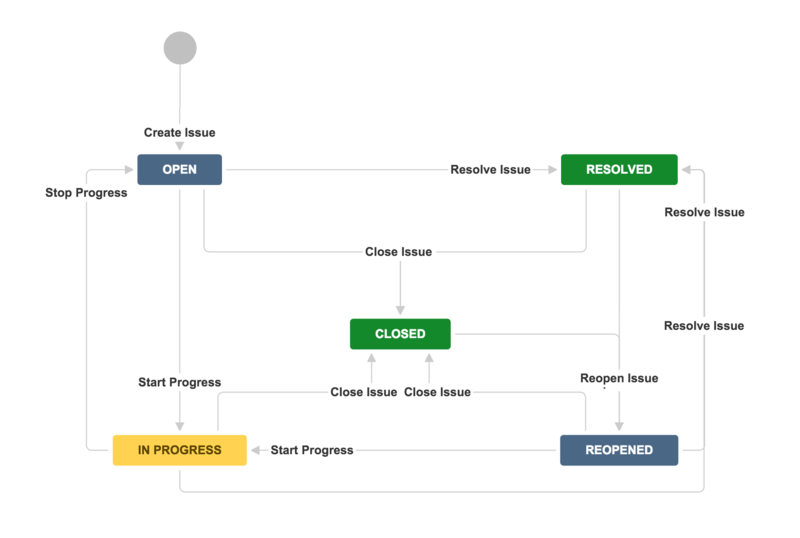 A JIRA workflow is a set of statuses and transitions that an issue moves through during its lifecycle and typically represents processes within your organization. There are default built-in workflows that cannot be edited; however, you can copy and use these workflows to create your own. ZenTao has more elaborated workflow, involving all roles in Scrum. Product Owner collects and writes user stories, prioritizing them and making release plans for the whole team. Scrum masters hold various meetings to make sure that the progress of development is on track. Development team complete each sprint and deliver products. QA team test and feedback to Dev teams. The interaction among those roles is explained in the flowchart below. Now you have a picture of what ZenTao is for. In the following articles, the features of ZenTao and Jira will be compared.